Last edited by kdinva; March 14th, 2018 at 01:26 PM. Valley Football tweeted within the hour that UNI and Iowa will play on Sep 5, 2020 at Kinnick Stadium. Road trip to FBS- Earn a paycheck in Hawaii or something like that. Road trip to SLC- SHSU or McNeese..or somebody we can lose to. Home game with SLC- Yep, more deer winning the attendance battle. Typical year where UCA goes on the road to start the year 3 out of 4 games so fans forget about it actually being football season in Conway. WTF...I stopped buying green bananas..
ETSU at Georgia as the Bucs' money game for 2020. No other details for my other teams (Harvard, Albany, Stony Brook) for 2020 at the moment. 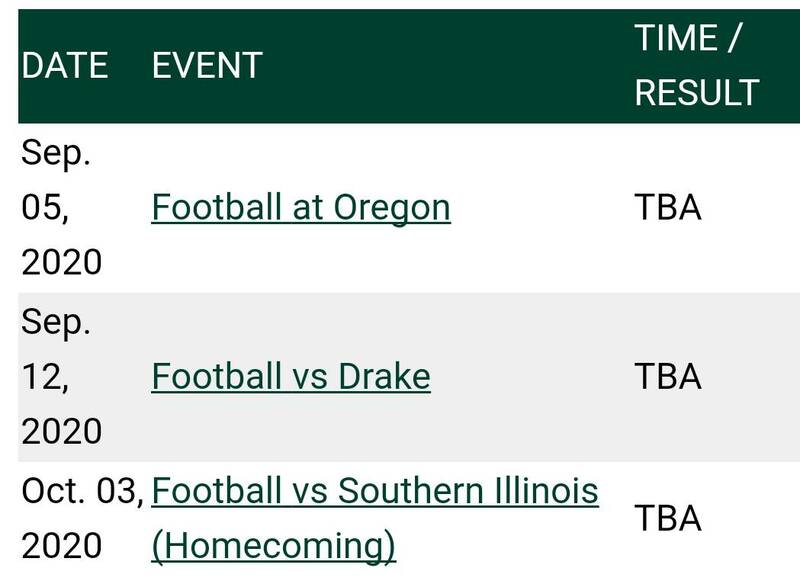 Here is NDSU's schedule so far.